Looking for ways to improve your Ecommerce website? 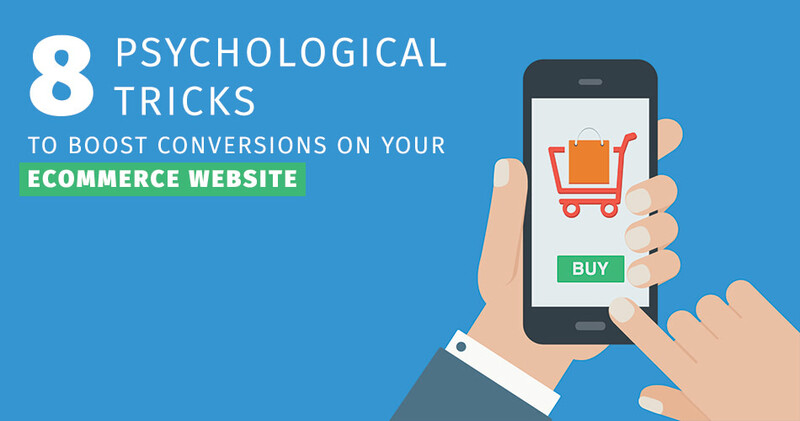 Let’s look at how you can use psychology to generate more online sales. Strategically place reviews and testimonials on your website to show users that people that have purchased your products in the past are satisfied. Get some help from friends. Endorsements will show your customers what their connections have recently purchased. Add some extra weight to your claims. Ask existing customers to share your products with their network. You can then display this in a shares counter on your website. Not all reviews are good but leave a few negative reviews. This can help you to increase trust, especially if you respond to the bad review in a positive manner. This will show that you will go out of your way to satisfy customers. Add a pop-up or banner that shows there are only a few items left in stock. This can add urgency and will encourage users to act now or lose out. Don't want to mention stock? Try adding a time limit. This can be a good way to urge people to buy immediately. Add a real-time countdown to your website that is linked to special offers. Try adding seasonal product ranges and limited items. These create a continued sense of urgency that can increase your overall sales throughout the year. Add free shipping for a limited time period. This is an easy way to create a sense of urgency and increase sales. Using a more specific end date or a shorter period of time will have better results. Know of any other way of how to generate leads with these methods? Check in on our Facebook page and let us know, hope to hear from you soon!